Carrying on with the momentum from the first Europe Conference in 2018, this event will bring together more than 1,000 scientists and technologists from around the world. 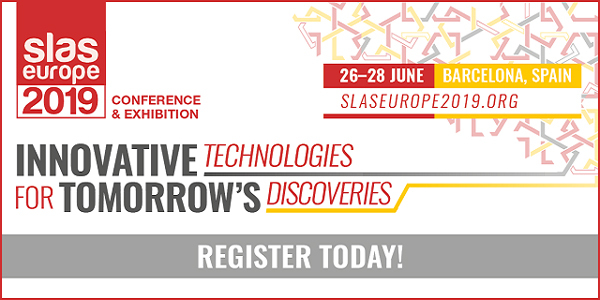 The theme for the 2019 Europe Conference is Innovative Technologies for Tomorrow’s Discoveries. As always, SLAS meetings are also a great opportunity to find out about the latest developments in instrumentation, assays, and diagnostics. Register for SLAS Europe 2019.